Thursdays, November 13 – December 18 @ 5:00 – 8:00 p.m. The Ringling will celebrate the holiday season in style with events for art lovers, families and for party-goers. From 5:00 – 8:00 p.m. on Thursdays, November 13 – December 18, the Ca’d’Zan will be decorated for the holidays and open during Art After Five. Admission to Art After Five costs $10 for adults, $5 for ages 6 – 17 and is free for Museum Members. Our holiday season offerings are a great entry point for anyone who has yet to visit The Ringling. We really do offer something for everyone. Hermitage Artists Ann Hirsch and Pablo Eduardo will lead the Gallery Walk and Talk “Always Animals” at 5:00 p.m. on November 13 during the first “Holiday Nights” of the season. Animals have been the subject of art since early cave drawings. Take a tour through The Ringling’s collection of animal art with Hirsch and Eduardo before joining them for a conversation at 7:00 p.m. in the Historic Asolo Theatre. Ann Wykell will moderate the conversation “Artists of the Hermitage,” which will discuss Hirsch and Eduardo’s work on the bald eagle inspired sculptures on the east and west entrances to Patriot Plaza at the National Memorial Cemetery in Sarasota. From 5:00 – 9:00 p.m. on November 20, Ringling by the Bay will present The Koko Ray and the Keepers. Dance and listen to live music on the Bolger Campiello. There will be a cash bar and food available for purchase. 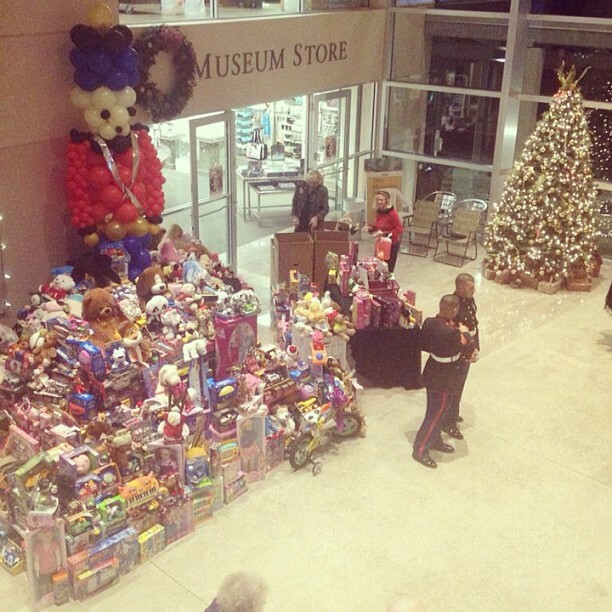 From 5:00 – 9:00 p.m. on December 4 get into the holiday spirit by donating to the U.S. Marine Corps Toys for Tots of Sarasota and Manatee counties during “Holiday Splendor”. 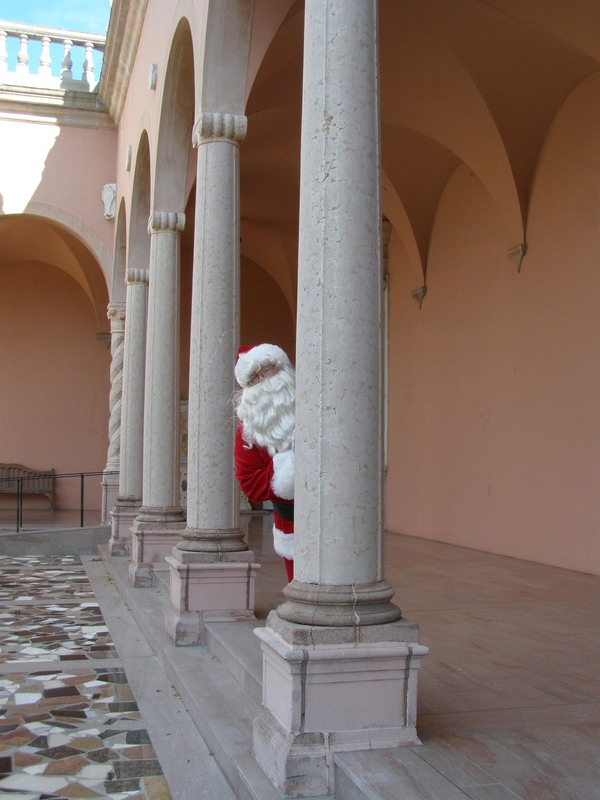 There will be holiday music performances by local elementary, middle and high school students in the courtyard of The John and Mable Ringling Museum of Art. Admission to “Holiday Splendor” costs one unwrapped toy per guest or $10 for adults and $5 for ages 6 – 17 without the donation of a toy. No advanced tickets to this event. The Gallery Walk and Talk for Behind Closed Doors: Art in the Spanish American Home 1492-1898 will take place at 6:00 p.m. on December 11. Ringling staff will provide an overview of the exhibition, which features luxury items on display of the homes of the Spanish Empire’s elite in the New World. From 5:00 – 9:00 p.m. on December 18, Ringling by the Bay will present Yeserdayze. Dance and listen to live music on the Bolger Campiello. There will be a cash bar and food available for purchase. After the Thursday night “Holiday Nights” wrap-up, The Ringling will throw the best party of the season during “Greet the Light” from 7:00 – 11:00 p.m. on December 20 in the courtyard of The Museum of Art. Escape the pressures of the holiday season and enjoy live music and entertainment. Food and beverages will be available for purchase. The celebration marks the third anniversary of the James Turrell Skyspace “Joseph’s Coat.” Tickets cost $15 with a discounted price of $10 for Museum Members. For more information on any of these events, visit The Ringling. The Ringling will be closed on November 27 for Thanksgiving, on December 25 for Christmas and on January 1 for New Year’s Day.